Posted by VU Managerial on Friday, April 17, 2015 in News. 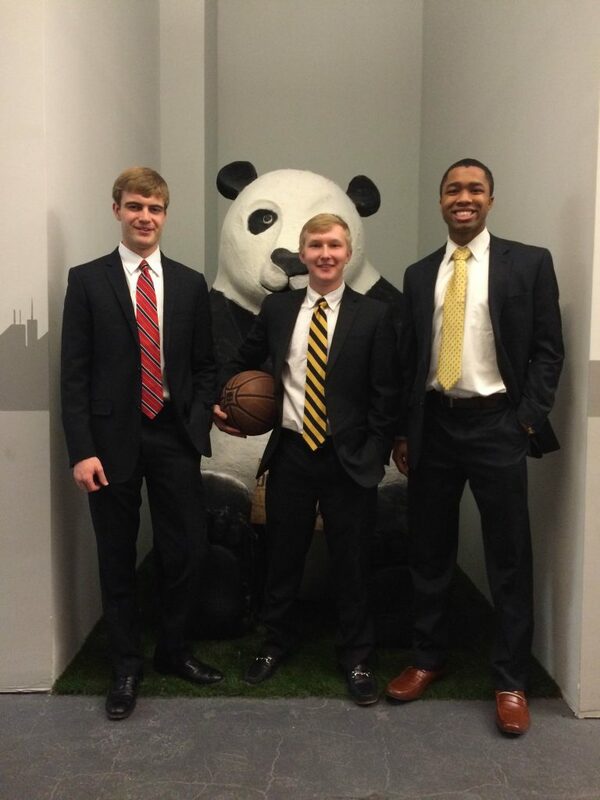 Pictured below are Jeremy Thames (’16), Robinson Littrell (’16), and Michael McMillan (’17), who were chosen as finalists in AlphaSights’ inaugural case competition in late February. The three escaped the Nashville cold to brave the snow and streets of New York City after a month of research and preparation. The team got together over winter break to begin building their report and solutions for AlphaSights’ case question. After pouring through dozens of articles about food and technology, the trio submitted their work, along with dozens of other teams from dozens of other top universities across the country. Days later, they received a phone call and an invitation to fly to New York City to present their findings and solutions to AlphaSights senior management as one of five national finalist teams. With prizes and internships on the line, and amidst midterms, the three friends found the time to put together a verbal and visual presentation that detailed the food and grocery delivery industry, ready to pitch their solution to top brass in NYC. After meeting with several great people and playing a game or two pf ping pong, McMillan, Thames, and Littrell presented to the judges. In twenty-five minutes, it was over. Two months and more than a thousand miles had culminated in that moment, but that didn’t seem to phase anyone. The team presented a strong case and handled questions just as they had practiced. After that, the office and some of the teams were all invited to a company-wide happy hour with snacks, a variety of refreshments and a friendly atmosphere in Central Park. “While the winners were never publicly announced, I definitely felt like we won. By that I mean how often do you get a chance to fly to New York to meet cool people and present something you’ve worked so hard for? The experience and the story are priceless,” remarks Littrell.